Home Inspections | Scott Real Estate, Inc. 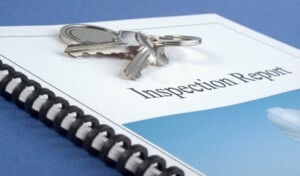 It is highly recommended that all home buyers order a home inspection. Here is a list of home inspectors we have found to be worthy of mention. We recommend ordering a termite inspection along with the general home inspection. Rocky Cleveland, Rock Solid Property Inspections, LLC. Ask for a $25 coupon for being referred by Scott Real Estate, Inc. It is highly recommended to have your new home inspected for any termites as most times sellers are agreeable to any necessary treatments. Preventative Mosquito and Spider control systems for houses and boat docks contact Ross Killian with Spider Docktor at 817-729-3191. Error: Error validating access token: Session has expired on Tuesday, 23-Apr-19 14:23:25 PDT. The current time is Wednesday, 24-Apr-19 17:34:21 PDT.